I have no idea how long this will last, so buy while the price is low! For my information on each work, check out my Clockwork Dagger Stories page. Clockwork Dagger collection DEEP ROOTS is out today! Posted by Beth on Aug 2, 2016 in Blog, clockwork dagger shorts | Comments Off on Clockwork Dagger collection DEEP ROOTS is out today! Hooray, hooray, it’s publication day! Deep Roots is an omnibus of my three previously-published ebook-only works set in the world of The Clockwork Dagger. This includes two stories, Deepest Poison and Final Flight, and the Nebula-nominated novella Wings of Sorrow and Bone. Together, they are a 208-page volume that is available as a mass-market paperback for $4.99 and as an ebook for $2.99! Octavia Leander, a young healer with incredible powers, has found her place among Miss Percival’s medicians-in-training. Called to the front lines of war, the two women must uncover the source of a devastating illness that is killing thousands of soldiers. After being rescued from the slums of Caskentia, Rivka Stout is adjusting to her new life in Tamarania. But when Rivka stumbles into a laboratory run by the powerful Balthazar Cody, she also discovers a sinister plot involving chimera gremlins and the violent Arena game Warriors. Captain Hue hoped he was rid of his troubles once Octavia Leander and Alonzo Garrett disembarked from his airship, but then the Argus is commandeered by a Clockwork Dagger and forced on a deadly mission. Hue must lead a mutiny that might bring down his own ship…. perhaps for good. DEEP ROOTS Clockwork Dagger Collection out on August 2nd! Posted by Beth on Jul 8, 2016 in Blog, clockwork dagger shorts | Comments Off on DEEP ROOTS Clockwork Dagger Collection out on August 2nd! I know a lot of folks have been waiting for my Clockwork Dagger short works to be released in paperback. Well, your wait is over as of August 2nd! You’ll be able to read them in mass market paperback ($4.99) or as a collected ebook ($2.99)! 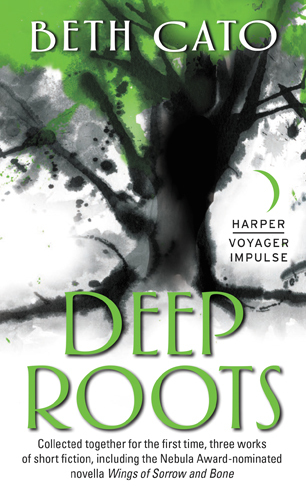 Deep Roots is available for preorder everywhere. From the author of The Clockwork Dagger and The Clockwork Crown comes a compilation of short works set in the same world: The Deepest Poison, Final Flight, and the Nebula-nominated Wings of Sorrow and Bone. 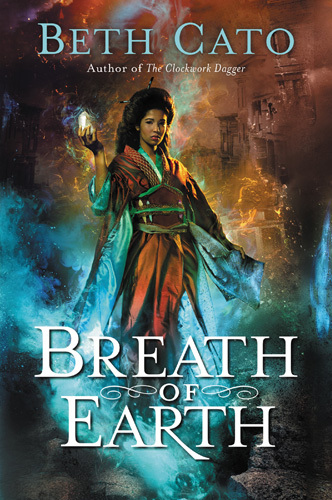 Her latest novel, Breath of Earth, out later this summer, takes place in an alternate San Francisco in which geomancers keep the San Andreas faultline in check—and institutional sexism and racism keep Ingrid Carmichael from achieving her full magical potential. Cato weaves a compelling tapestry of clashing cultural values, bringing much-needed diversity to the genre. Read the whole list of books they loved in May–lots of great titles on there! 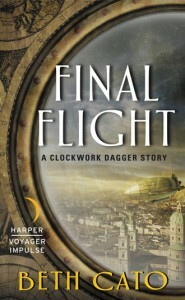 My Clockwork Dagger story Final Flight also garnered some love over at Reading Reality. Yay! The big Elevengeddon signing event at Poisoned Pen was a smashing success last week. They did a wonderful write-up with loads of pictures. I have a new poem out: “A Sip of Starlight” at NewMyths.com. One of the big local papers, the Phoenix New Times, included me on their 2016 list of 100 Creatives in Phoenix. I was also interviewed over at SFF World about the Decision Points anthology along with Mike Resnick and Kate Corcino. The release of my story Final Flight means promo, promo, promo all over the place. Here are my recent posts and interviews–and there are more to come, too! 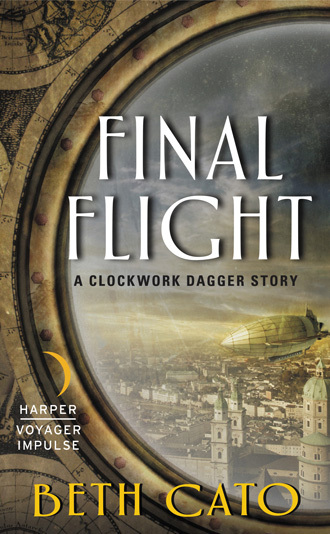 Final Flight: A Clockwork Dagger Story is out now! Posted by Beth on Apr 26, 2016 in Blog, breath of earth, clockwork dagger shorts | Comments Off on Final Flight: A Clockwork Dagger Story is out now! Final Flight is out! This is the last (for now) of my Clockwork Dagger stories. Like the start of the story? Read the whole thing for just 99-cents–and that includes the first chapter of Breath of Earth!